The Really Rubbish team would like to say a big thank you to all the Cardiff Schools who took part in our St David’s Day Loopy Leeks and Daft Daffodils Competition! 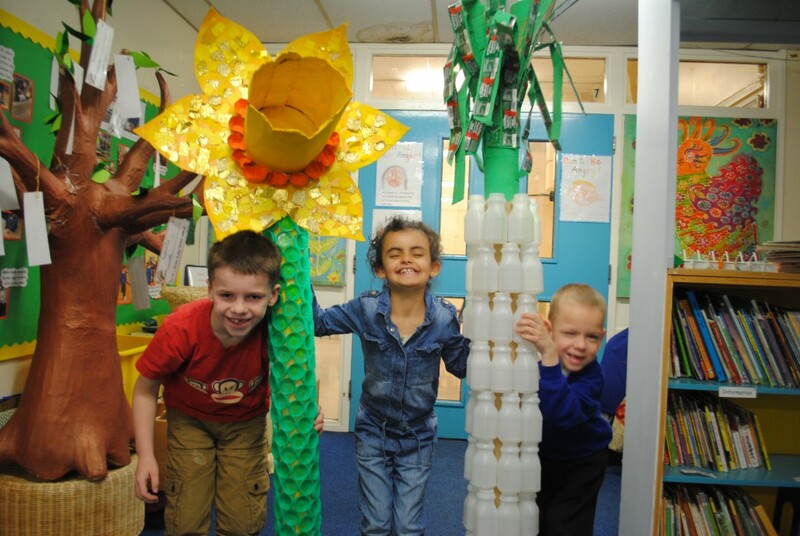 We are pleased to announce that the winning school was Riverbank Special School who created a 6 foot daffodil made completely from recycled materials. 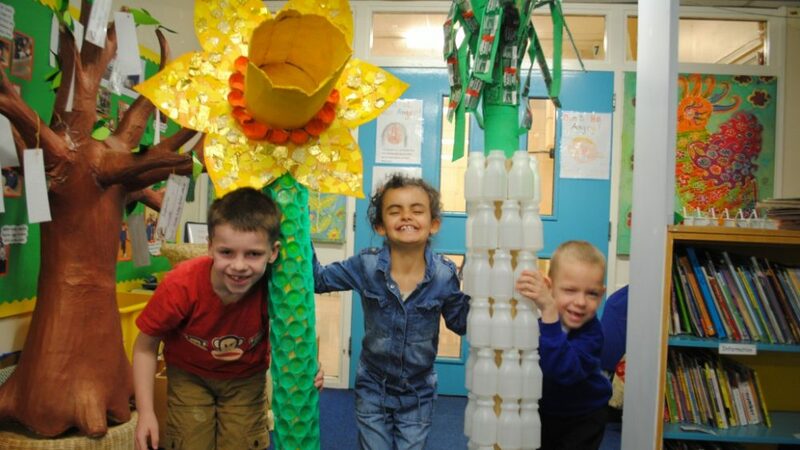 They used an old carpet roll as the stem decorated with milk bottle tops which they kept after drinking their daily milk. They old cereal boxes for the daffodil head and left over paint was used to paint the head. Almost every child from each year contributed to the making of the daffodil whether it was painting, sticking items on or collecting items. Well done to all schools for their amazing entries and we thank you for participating in our Welsh themed competition.